I've actually posted a recipe for granola before, but that's not the one I've been using for the last two years. (Whew, didn't I tell you that the recipe page needs an update?!) If you compare that recipe to the one below, you'll find that they're actually pretty similar, because let's face it, granola is granola. If you want the science behind granola, then definitely take a peek at that post, otherwise, just go ahead and make this one! You'll need a scale for this recipe. I apologize if you don't own a kitchen scale (you should totally get on that - here's mine!)... I've never actually gone through and measured this particular recipe with measuring cups because weighing it is so simple and leaves me with so many less dishes to clean! Just two bowls and a spatula. Also, you may notice that there are almonds in the photo but not in the recipe... that's because I had a handful of almonds to use up so I just tossed them in there. Feel free to do the same! If you do throw in some nuts, and you find that your mixture is too dry after adding the wet ingredients, just add more coconut oil a tablespoonful at a time, until it just sticks together. If you want to add raisins, craisins, or dried cherries, toss those in once the granola has cooled - dried fruit puffs up and dries out in the oven, so definitely don't bake it with the granola! - Preheat the oven to 300ºF. - Combine all the dry ingredients in a large bowl. Combine the coconut oil and honey in a small bowl, and heat in 30 second increments until coconut oil is fully melted. Pour the wet ingredients over the dry ingredients and mix with a spatula (or your hands!) until fully combined. 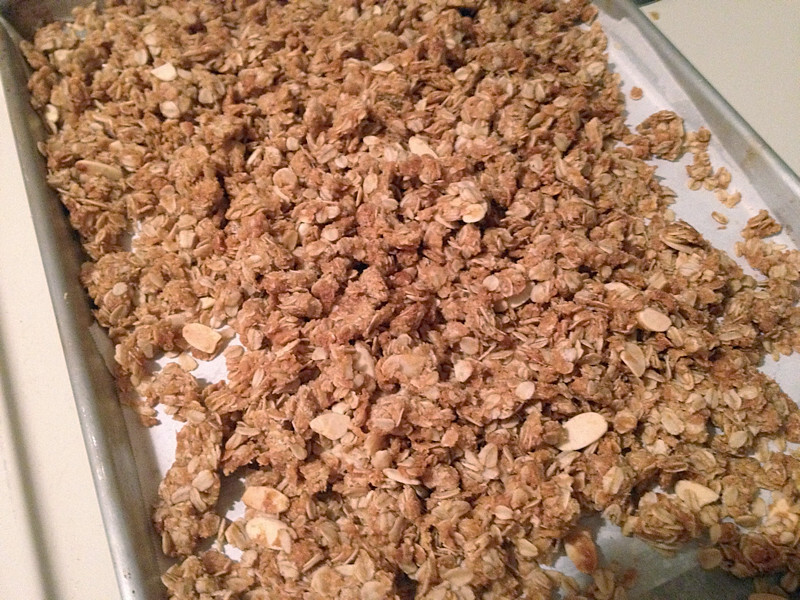 - Spread the granola mixture across a rimmed sheet pan covered with parchment paper. Bake for 30-35 minutes, until golden. Make sure to stir it around every ten minutes. 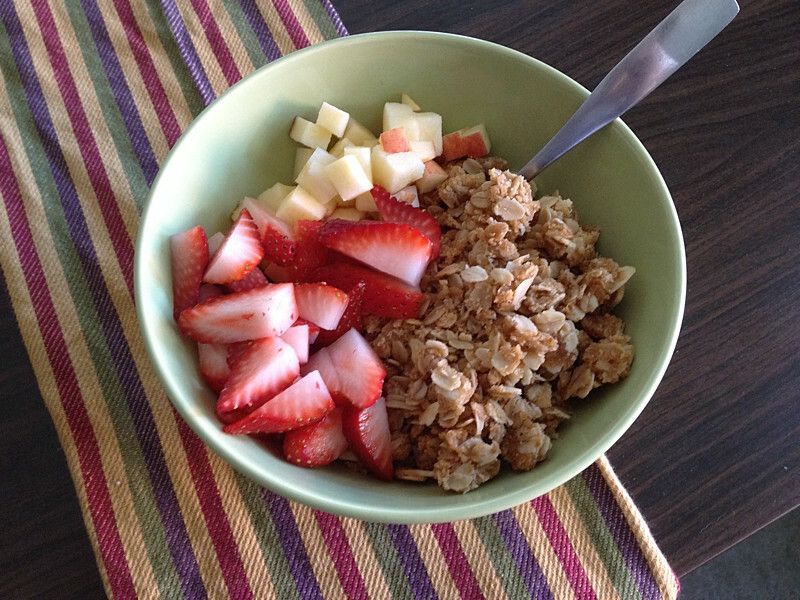 The granola hardens as it cools, so the biggest 'done' factor you're looking for is the color! - Store in an airtight container and it will keep for weeks... I can't say how many, exactly, because mine never lasts that long! That looks so good! 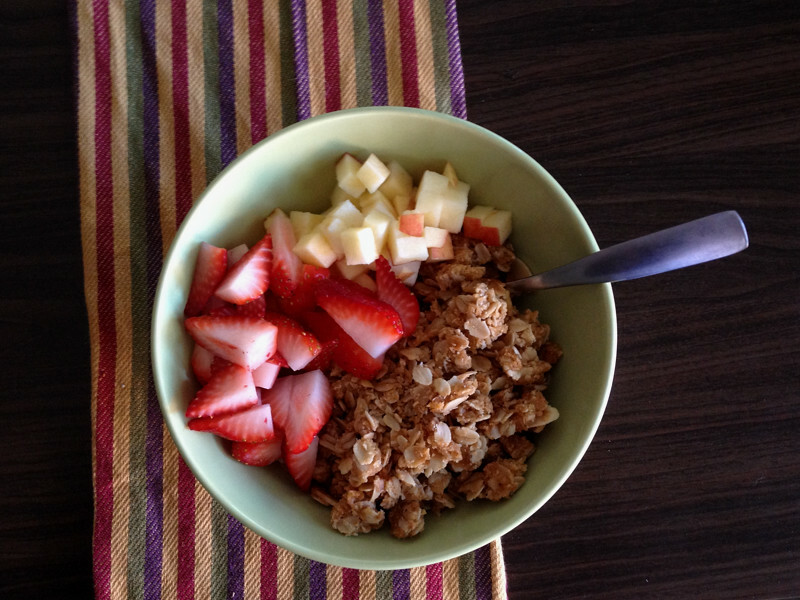 I've always wanted to make my own granola and this recipe looks so simple!